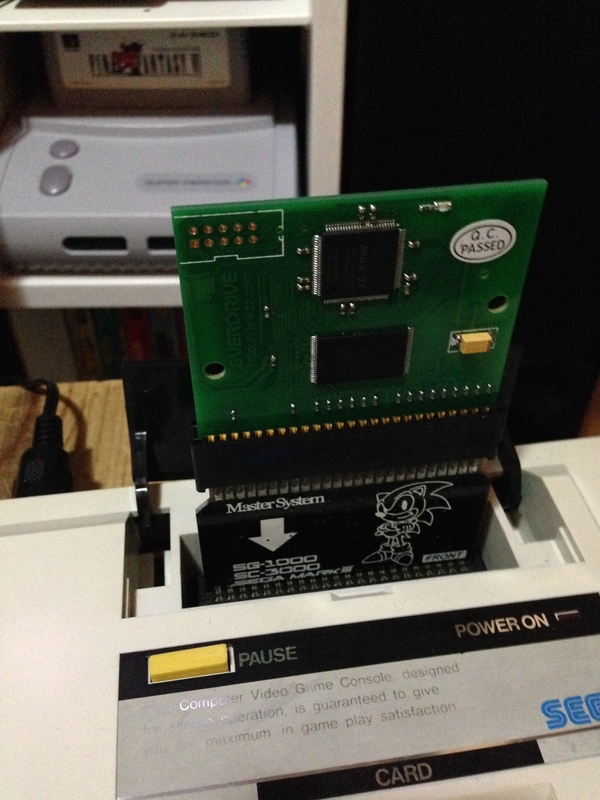 Creation of a Sega Mark III Everdrive flash cart – Nintendo Sega Japan! My preferred manner of playing Sega 8-bit games is on the original Sega Mark III. It’s just a great looking system, and with RGB and FM Audio I have a pretty nice set up. 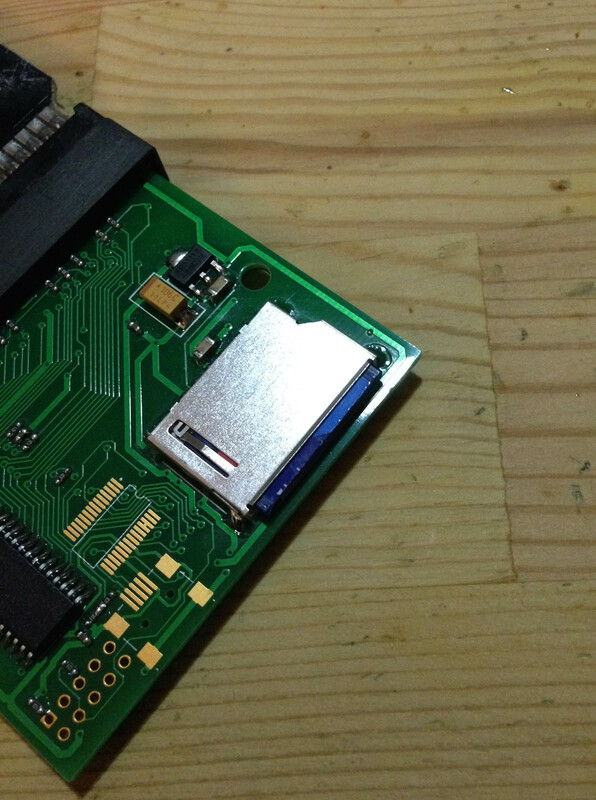 I wanted to reduce stress on the cartridge port to prolong its life, so a flash cart would be a good solution. 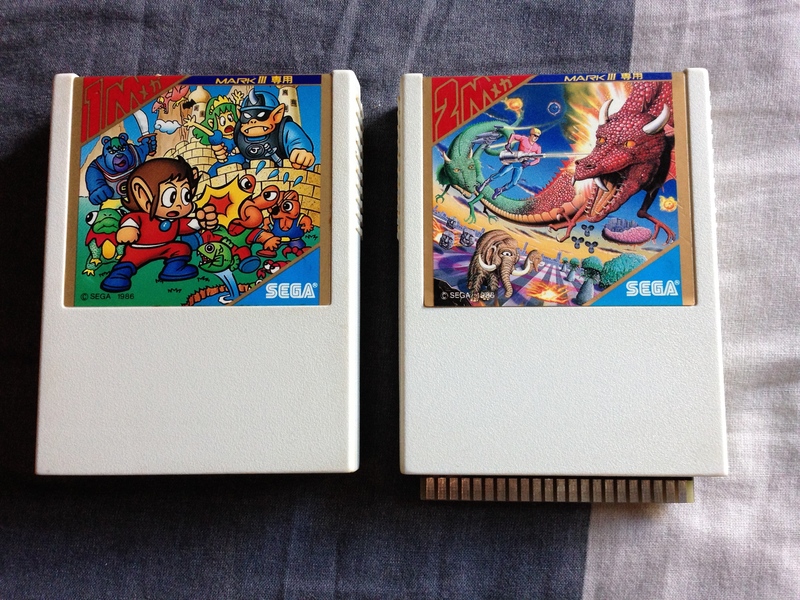 Unfortunately there is no dedicated Mark III or SG1000 flash cartridge. 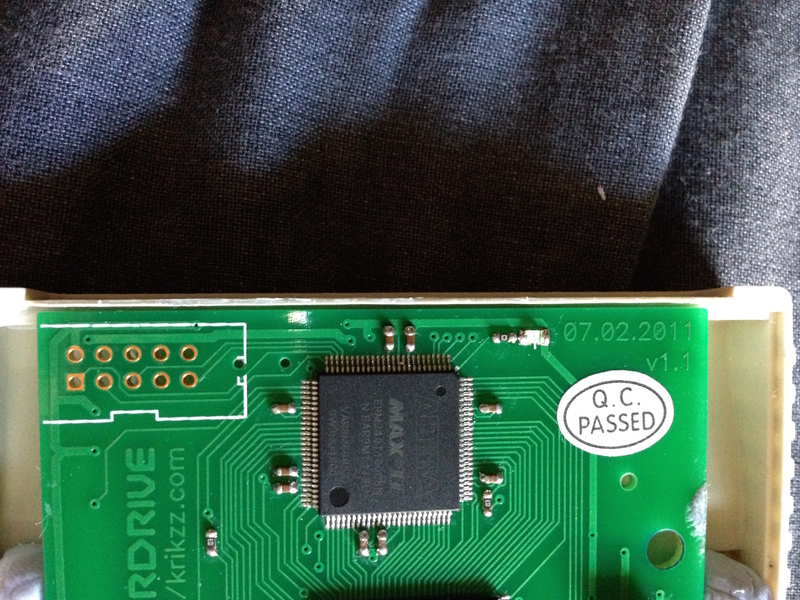 So I theorised I could create a normal looking flash cart for my Mark III, combining a Master Everdrive with a new-style Master System to Mark III converter. They arrived, and worked! I needed to downgrade the firmware to version 5. 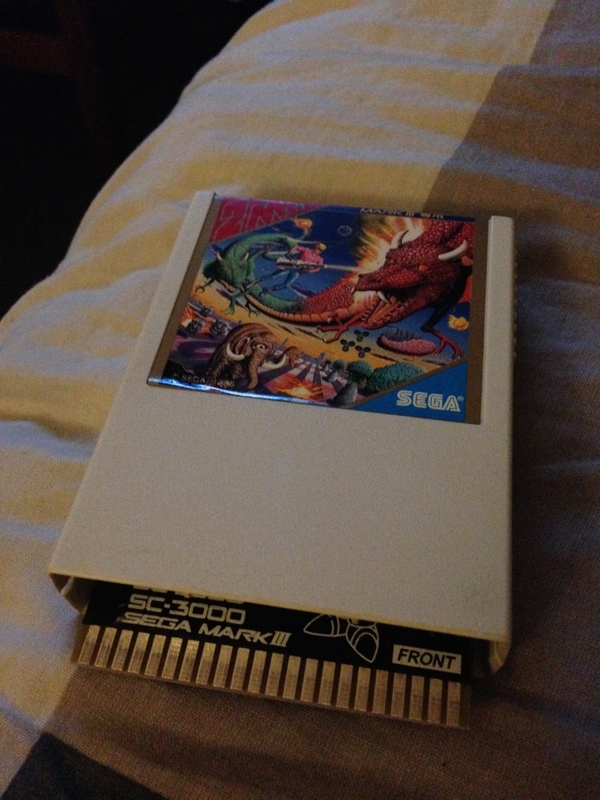 It seems from version 6 and up, developer Krikz changed the video mode slightly, and the game select menu no longer works on a Mark III or other non-Master System hardware (e.g. 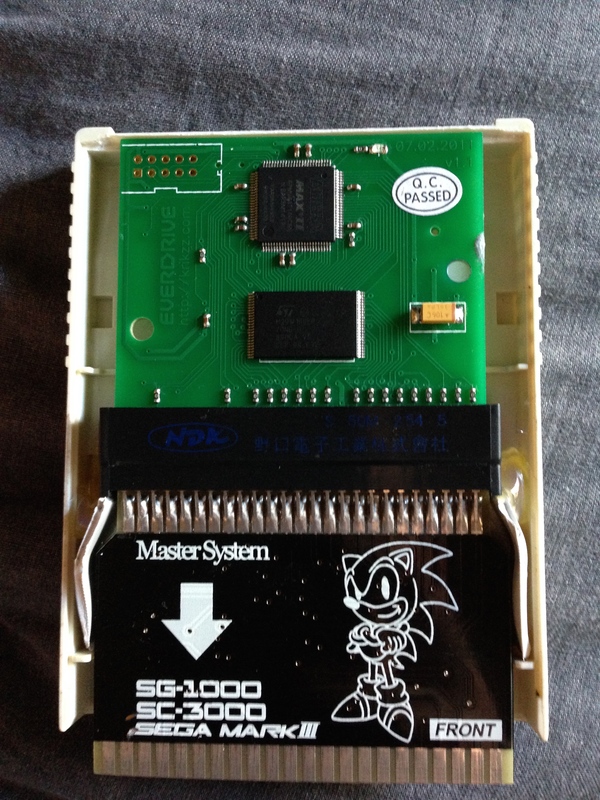 a Game Gear in Game Gear mode via a modified converter). However, the combined cart/converter was a long way from fitting into a regular Mark III cartridge shell. 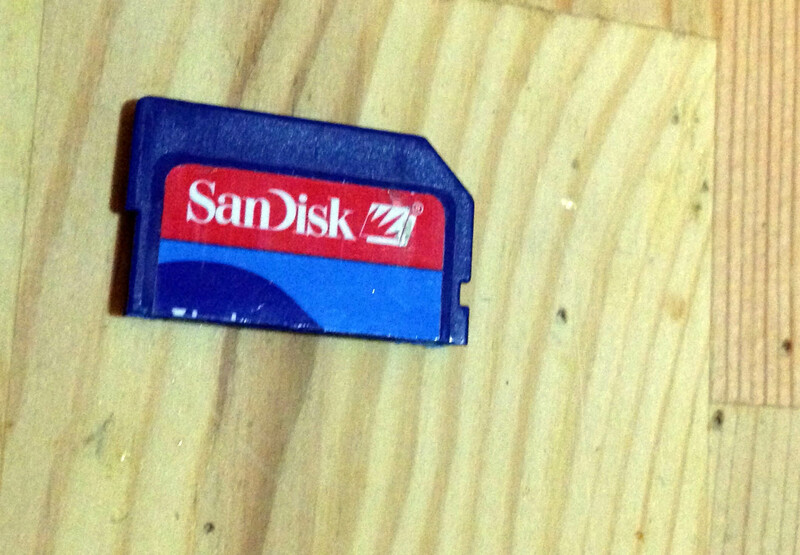 First of all, the SD card sticks out. I looked around for a micro sd card adapter that would work, but a couple I got didn’t fit, or were not low profile enough. Then I came across this. 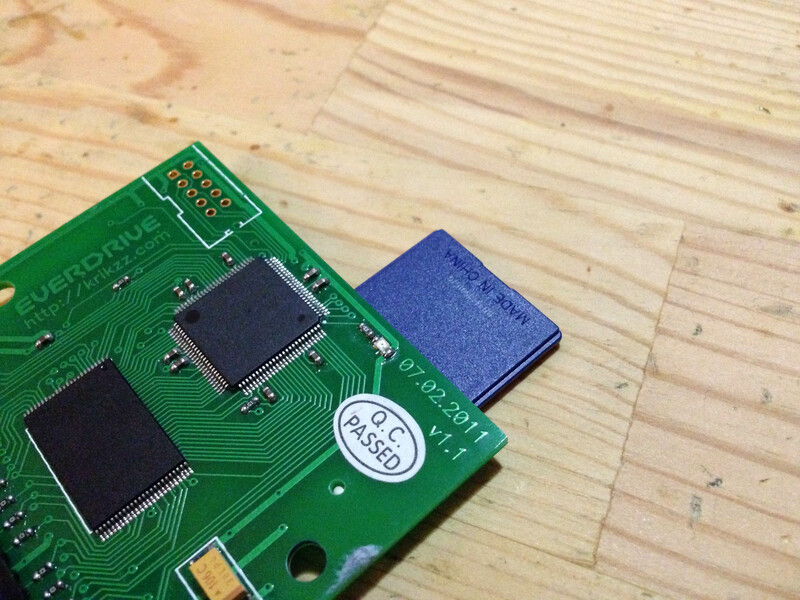 Many SD cards can simply be cut in half! 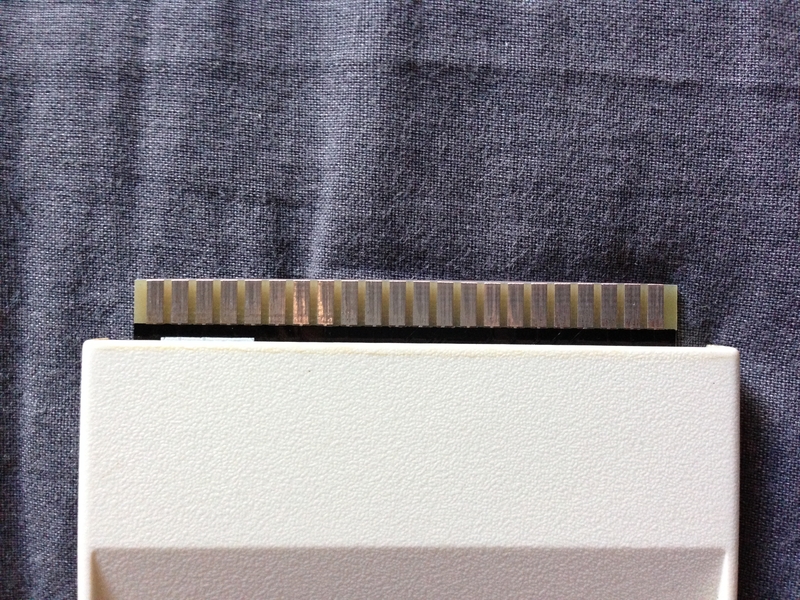 Sure enough, the 2GB SD I was using was just empty plastic in the top 2/3, so I sliced off the excess plastic. Now it sat well clear of the edge. This extra gap became very important later on, as I needed that extra few millimetres of clearance on the case. 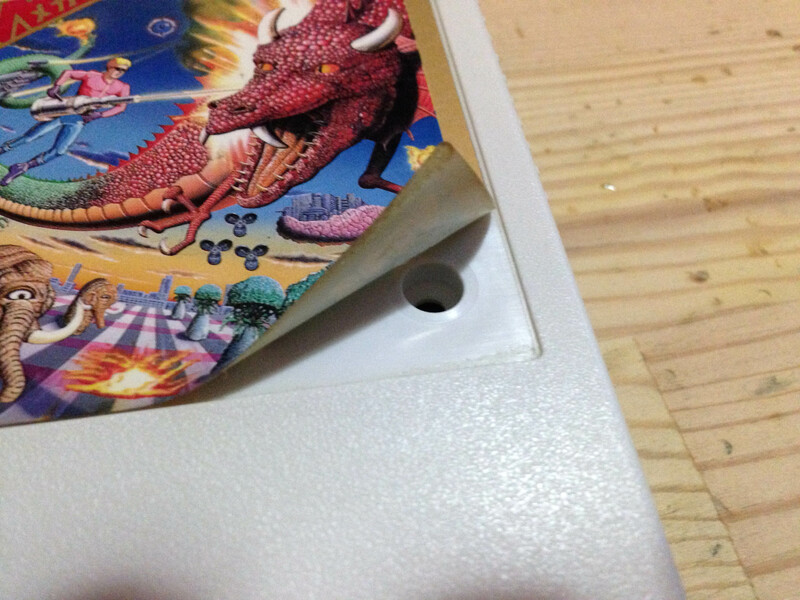 Next I had to open up the shell I was going to use – a cheap copy of Space Harrier was my sacrificial lamb. 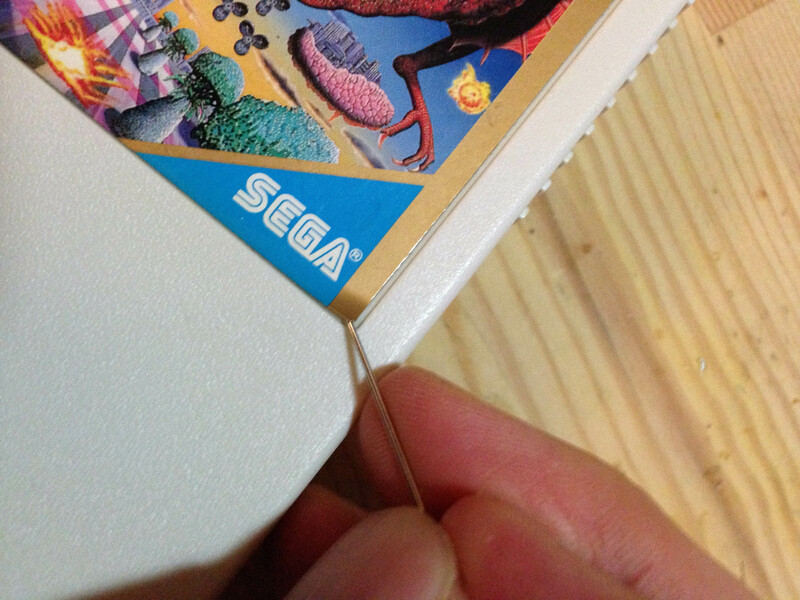 To open Mark III carts you have to access some screws under the label, so I used a hairdryer to warm up the label glue, then a pin to start peeling the label. 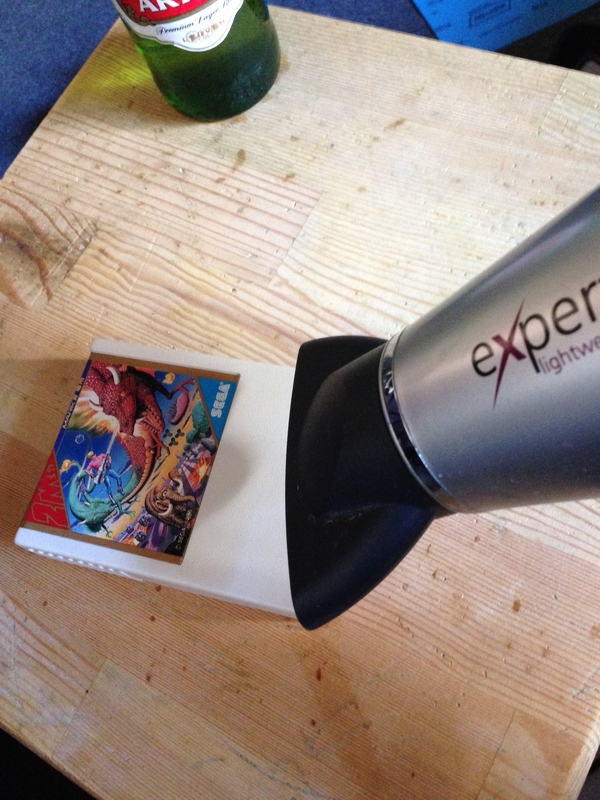 It’s fairly easy this way, with no damage to the label or cart. After getting inside, I sliced away all excess plastic, but the combined cart/converter was still sticking out the bottom of the shell quite a lot. 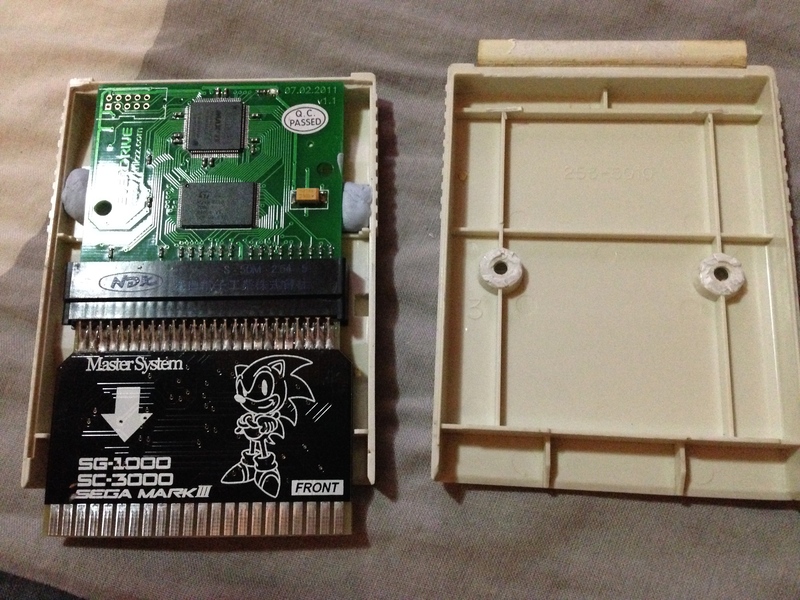 But the real gains would be had by filing/sanding back the contact pins on both the flash cart and the adapter. Contact pins are often far longer than they need to be, they really only need 1-2mm – just enough to make a solid connection. 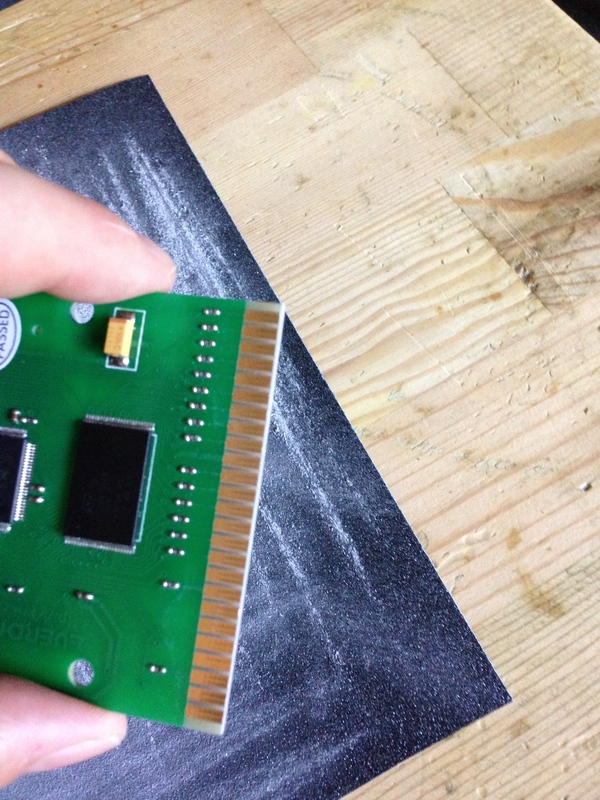 Wear and tear is much less of an issue than back in the day, as I won’t be inserting and removing the flash cart from the adapter ever again, and the cart itself will stay in the console most of the time. So I brought them down to about half their original height. And now it’s going to sit just 3-4mm higher than a regular cart would! 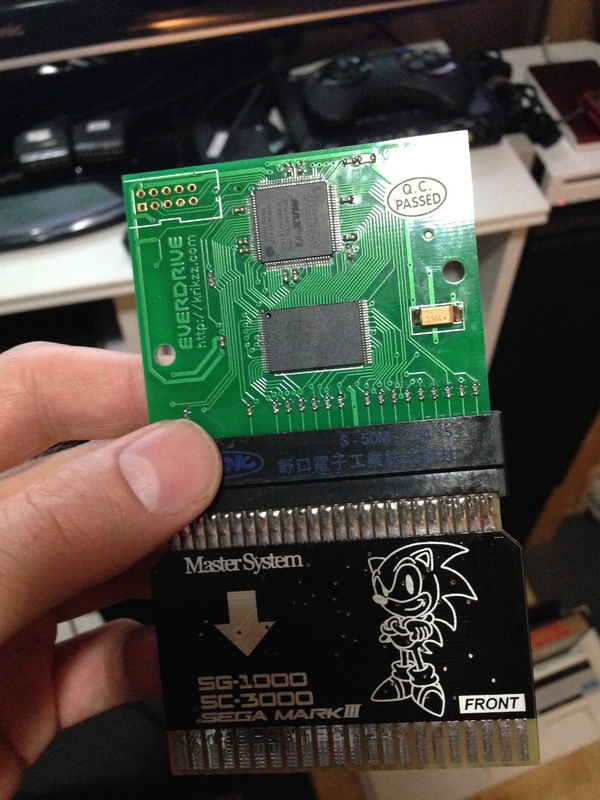 I could have gone further, but wasn’t going to push it too far and risk damaging the flash cart or adapter beyond repair. Next up I had to brace the combined cart inside the shell. I superglued some plastic that I cut to a shape that would hold the board well, braced them against the bottom of the cart shell, and backed it with hot glue for support from the sides. It slots in under the adapter’s slot section, and holds flawlessly, so now I have a snug but secure brace for the board! 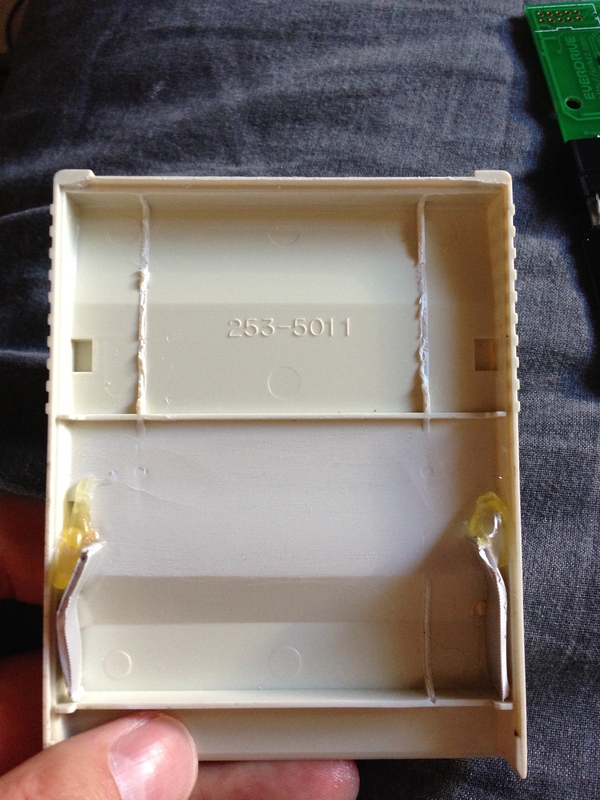 The braces push slightly outward at the front, and combined with the label over the top, also keep the cart securely closed, so it needs no additional screws or glue with regular handling (it would probably open if dropped however). Close up the cart for the finished product! It sits slightly higher than a regular cart, but low enough to be quite stable within the cart slot, as it still sinks into the slot about 10mm. 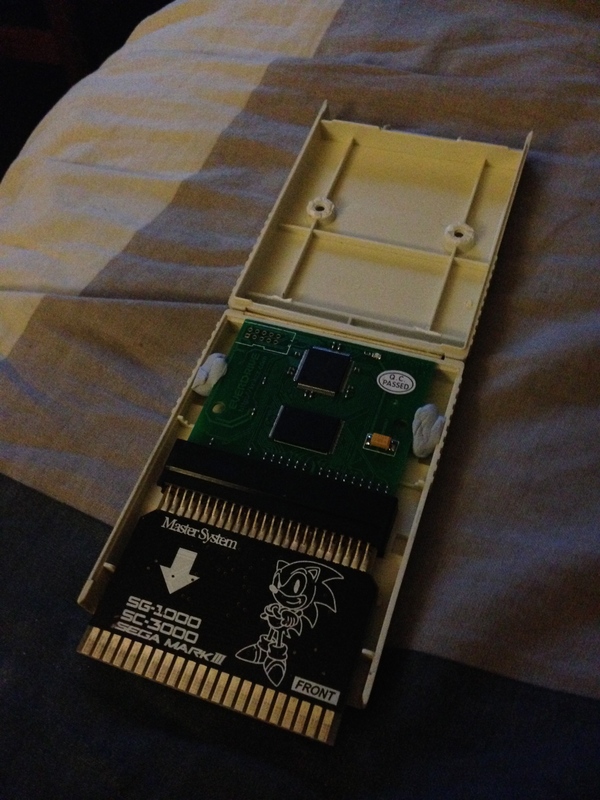 It sits lower than an unplugged cart resting on the cart slot, for example. At a glance you can’t even tell. 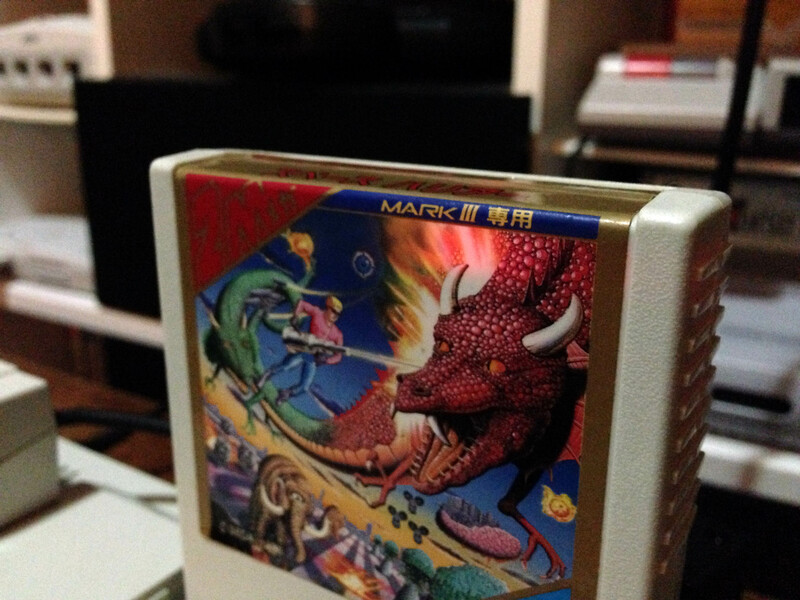 The LED when the everdrive loads shies through the explosion behind the dragon on the label too, which is nice. Would you sell one? 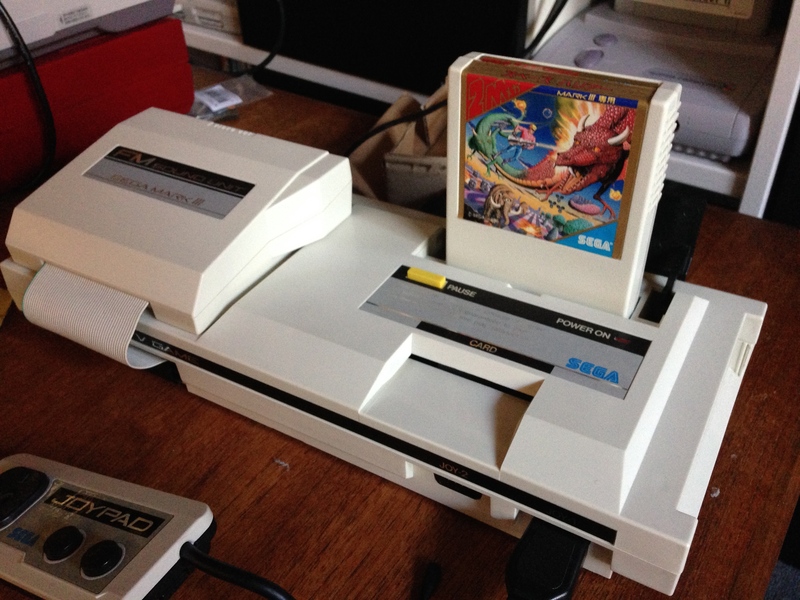 I want one for my Japanese master system. Hi Sonic, unfortunately I think it would be prohibitively expensive. But sure, contact me and I could quote creation of one.